Everywhere that I have traveled, I have known at least someone in that city. With the exception of studying abroad in Italy, but I suppose that doesn’t really count. Whether I’m traveling with a friend or meeting a friend in that city, I’ve never been completely alone. It’s always a little intimidating traveling to a foreign country with a new language and no familiar faces. So I was nervous to say the least. I landed in Prague at around midnight from Paris* and went straight to my hostel to check in and get some much needed rest. 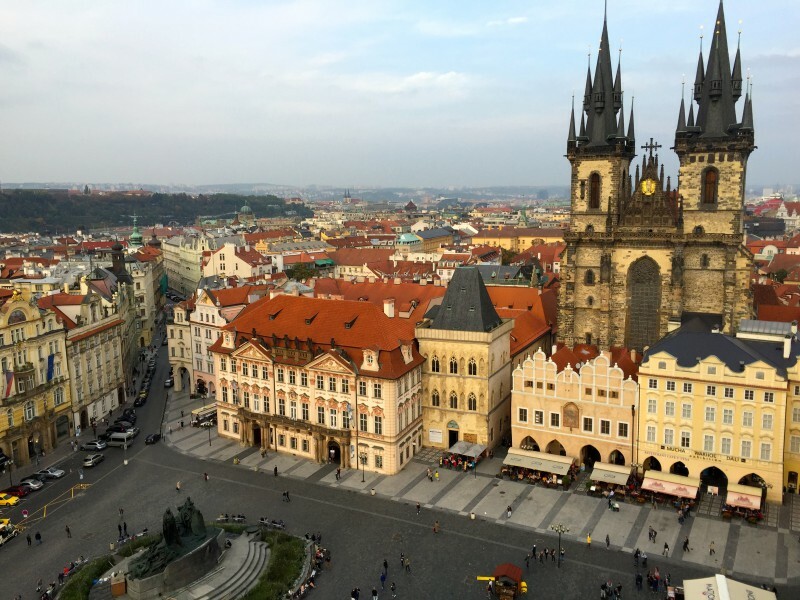 I woke up in the afternoon and eventually made my way to Old Town Square. 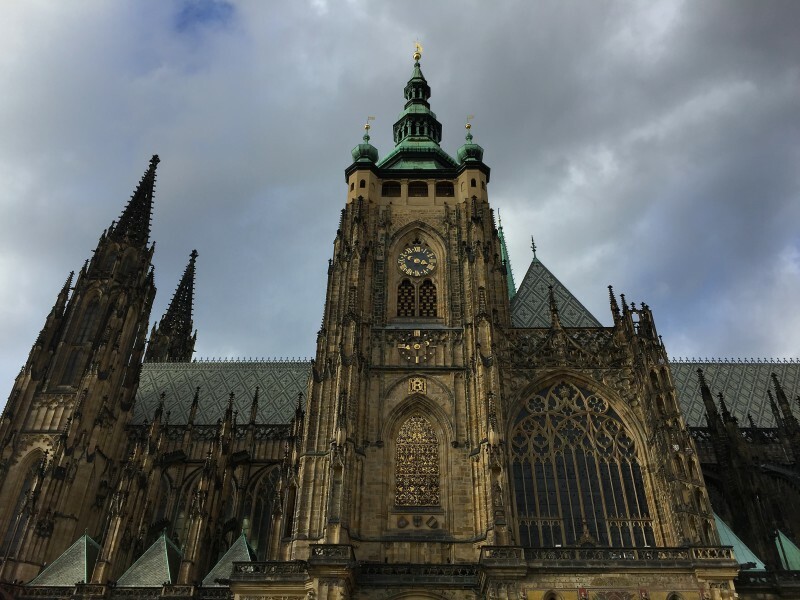 I didn’t really have a game plan for Prague, but I knew the city was relatively quick to conquer, so I enjoyed going places at my own pace and on a whim. I roamed through the maze of ancient historical structures and stumbled across an Andy Warhol exhibit. As out of place as that may seem, I decided to check it out. After viewing plenty of pictures of Campbell’s Soup, I decided to stop for a snack. I walked back out to the square and discovered Trdlo. Produced in a small heavenly shack of happiness, are freshly made churro-like desserts, which were the finite end to my failing diet. I then walked up the clock tower for an amazing 360° view of the city and subsequently fell in love. 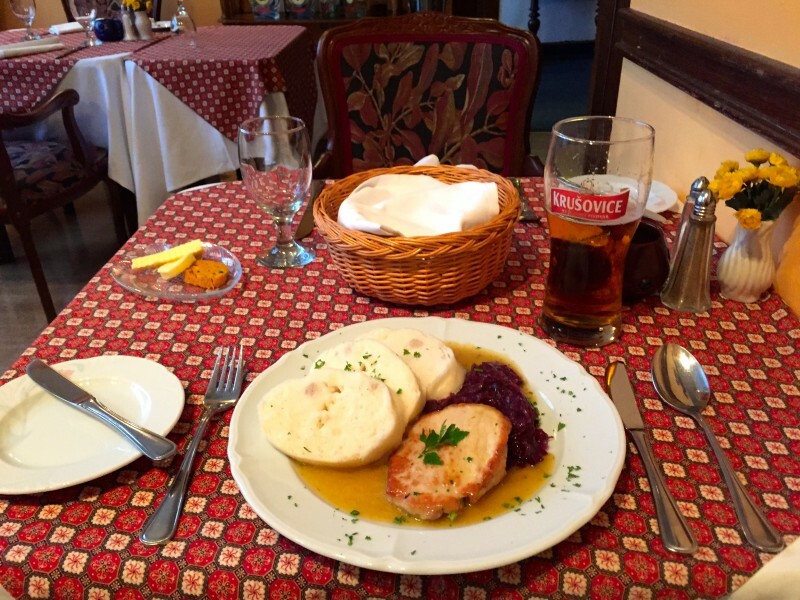 The next day, I ditched the skinny jeans and tried my first traditional Czech meal. Three absurdly delicious courses of heavy-hearty-soul-food to, “Keep ya warm for the Winter!” Slowly but surely, I walked across the Charles Bridge to Menší Město pražské (A district within Prague). Every single street has so much history and charm. I continued to climb up the hill and at last found Pražský hrad. I was in complete awe by the sheer magnitude of the castle. The castle is not only a UNESCO World Heritage site, but also the largest ancient castle in the entire world with an area of almost 70,000 m². 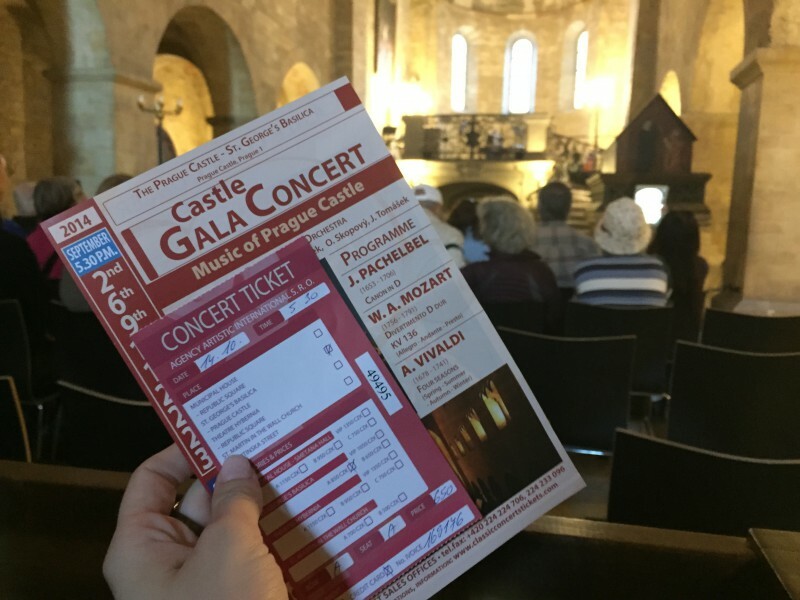 I managed to notice a small sign for a Classical Gala Concert at St. George’s Basilica and while slightly-underdressed, spontaneously saw a Pachelbel, Mozart, and Vivaldi symphony. Cultured, but nearly numb from the cold, I stopped for a hot tea and sped back to my hostel. On my way back to my room, I met Michael and Aris, two late-night employees from my hostel. We hung out until the wee hours of the morning, and then I somehow convinced Michael to show me around town on his day off. The two of us walked all over, we actually didn’t accomplish much – but it was a good time and I got to see a lot of the city. Back on my own, I walked up the unnecessarily massive Petřín Hill to the observation tower. 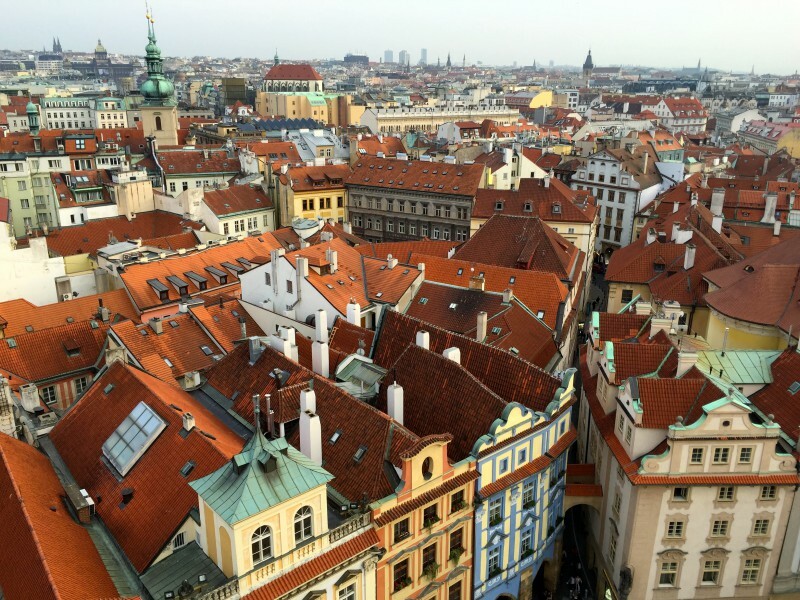 Prague definitely has an abundance of photogenic, panoramic views. After a quick stroll and shameless selfie through the Mirror Maze, I walked back down to town. I made my way through the various parks, along the river, and finally to the Lennon Wall. To properly end a long day of tourism and walking countless miles, I met up with Michael at Lokal for dinner and beers. 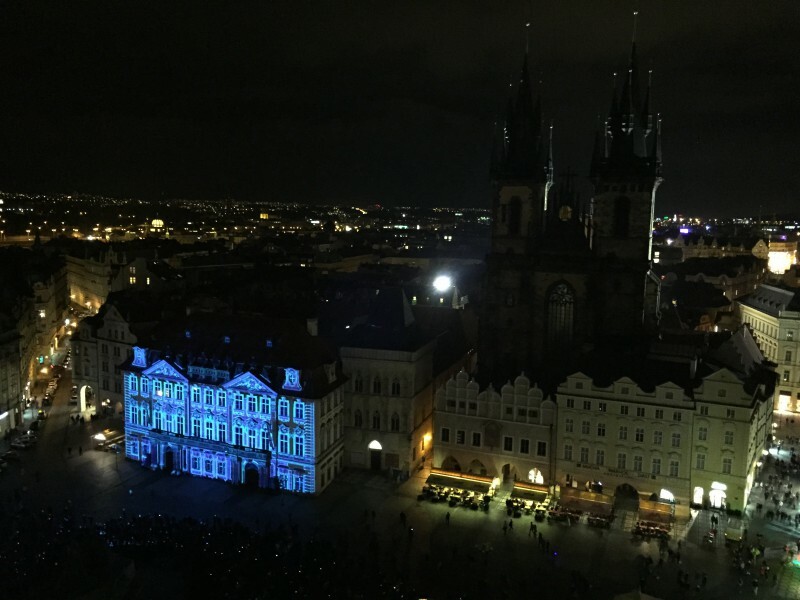 I spent the majority of my last day in Prague working and writing away, but before I left, I had one more attraction to see. The Signal Festival had just begun, I grabbed one last Trdlo and watched the psychedelic light show from the Old Clock Tower. Finally, after a great week in Prague, I dragged my luggage to the train station to catch my overnight train to Budapest. 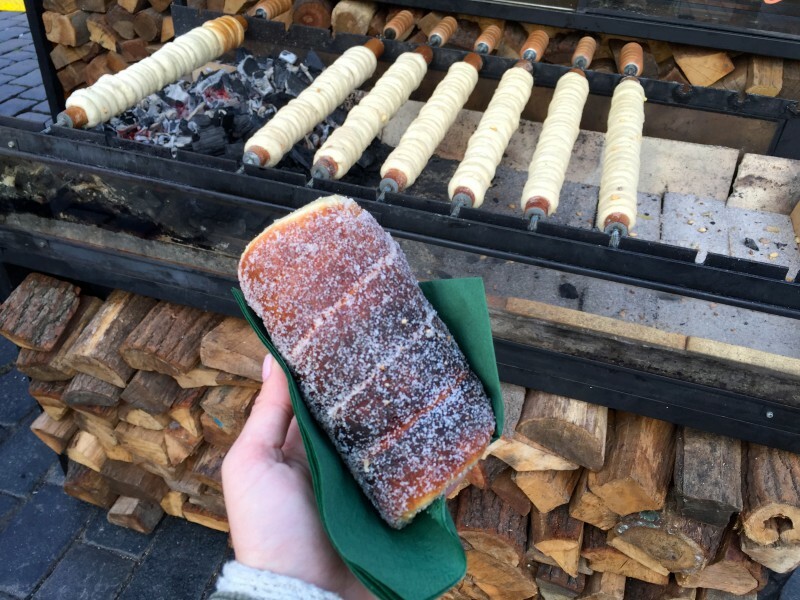 * I traveled from Berlin to Paris to Prague, I simply combined my Parisian travels so that my posts weren’t so repetitive from last year – so please excuse the lack of chronological order.